Laurie is truly a professional and such a pleasure to work with. She patiently listened to our wants and needs and helped us to upgrade our home to the transitional look we wanted. Her attention detail is exceptional, resulting in designs that are both beautiful and functional. 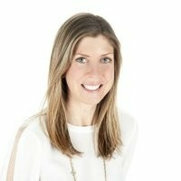 We look forward to working with Laurie on all of our future design projects! Amazing talent for style! 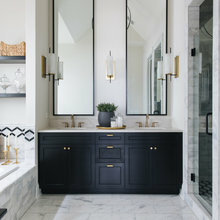 Laurie was so helpful she took the extra time to understand what both my wife and I were looking for in our home, neither of us are good at interior design but we wanted our house to look warm, hip and modern, which is why we ask LD Interiors for help. I am so glad I did. I could never imagined such a comfortable, cozy, yet hip and stylish atmosphere our home. Laurie is really easy to work with and very dependable. I would recommend her to anyone without reservation. You won't be disappointed. I have worked with Laurie for over 15 years. She is incredibly professional, talented and a joy to work with. Laurie's attention to detail and color selections are always on point. When the opportunity presents itself for us to work together, I look forward to our meetings and her vision. 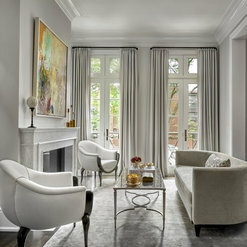 Laurie Demetrio Interiors is a fantastic interior design firm. Laurie and her staff are extremely knowledgeable and talented. They are a complete pleasure to work with. I have worked with Laurie for almost 10 years on many of her projects. She is accommodating, flexible and passionate about her work. I strongly recommend them! I worked with Laurie to furnish and accessorize my apartment in Chicago. It was a total gut rehab and I was downsizing from a much larger home, bringing only a few things with me. I was unsure of a design direction and I didn’t know where to begin sourcing furniture and accessories. By the time my trusted millworker guru and friend recommended that I reach out to Laurie, I was overwhelmed. After Laurie and I spoke my concerns faded. She outlined the scope of the project, explained her fee structure and established a detailed plan of attack. Right away she suggested a few key pieces that established the style and direction from which everything flowed. She wasn’t afraid to let me know when I was wandering off track either. When I suggested several light fixtures, that in hindsight were quite awful, Laurie wasn’t afraid to tell me that they weren’t right. She was delightful to work with and I am so happy with the finished product. Every day when I walk in my apartment, I think how lucky I am to live in such a beautiful space. I worked with Laurie and her design team on a single family home I remodeled. I thought they did an excellent job! They were very meticulous in their work and showed me several design options and ideas for the different rooms and spaces in the house. Although there were different options, they all had a certain design continuity to them. They were also very helpful supplying high quality vendors to work with that fit within my budget. I would highly recommend Laurie and her team and would definitely work with them again. We worked with Laurie, after a friend's recommendation, to help us decorate our new construction home. Even from our initial meeting I was impressed with how experienced and talented she is as well as how easy it is to work with her. Laurie listens patiently, was always prompt and responsive with new ideas and her creative vision. We were able to repurpose a lot of our old furniture which was very helpful to stick to our budget. She referred us to great vendors and other service providers who were equally professional and terrific. We had some custom pieces but were also able to have Laurie find us the right items from brick/mortar stores as well (Crate and Barrel/Room and Board) and she was happy to do so and very flexible. Laurie made the whole process smooth and easy from start to finish. We are so lucky to have found her and continue to enjoy our beautiful home! Laurie Demetrio Interiors is professional, timely, and most importantly the best interior designer for luxury homes. Laurie understands what her clients want and knows how to stick with their financial budget. She is very good at showing you options and is respectful of your taste. Laurie is a consummate professional. Working with her on projects is a pleasure, as there is never any drama or unwanted surprises. Her designs are thoughtful, original, and her knowledge of the trade is unparalleled. Laurie Demetrio is an exceptionally talented design professional who brings great expertise and creativity to every project. She's available, accessible, responsive and she combines her own innate design IQ with her client's personal tastes. She did an extraordinary job remaking my greystone into a beautiful and welcoming home. Laurie approached my project with precision, recommending marvelous trades and casework artists and seamlessly incorporated my antiques and artwork into the project. She knows how to look at the whole project and then to break it down into manageable segments. The project finished on time and on budget, and it is beautiful. I could not be more pleased and highly recommend her. Laurie’s attention to detail and project management is second to none. She truly listen’s to client requests and turns them into a stunning reality. Her work is simply exquisite. Laurie, helped me spruce up a family room and my daughters bedroom. she was always Extremely professional and she had so many creative ideas. I also appreciated the fact that she treated my smaller project as a top priority. Outstanding experience. Laurie Demetrio Interiors answered a question: Where are the chandelier and desk chair from? Laurie Demetrio Interiors answered a question: What is type and colour name of the countertop? Laurie Demetrio Interiors answered a question: what is the wallpaper? Commented: what is the wallpaper?The wallpaper is pattern: Acquario in Soft Neutral Item: 97/10031.CS by Cole &amp; Sons. Commented: Cabinetry?Thanks for reaching out! All of the millwork and trim was custom by NuHaus. Commented: Where are the chandelier and desk chair from?Thank you! For the walls we installed Husk in Iris Root (Item: 4340) by Phillip Jeffries Wallcovering. Commented: Live this! Where is chandelier from? ?It is the Lumiere Chandelier in antique brass by Jean de Merry.